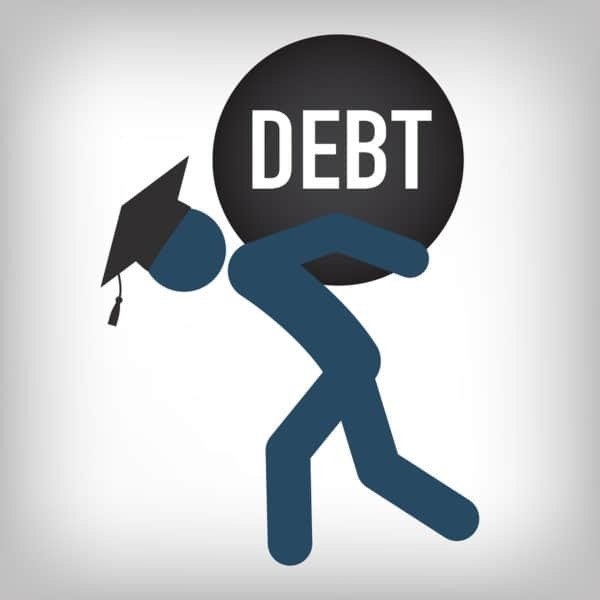 Older borrowers (age 50 and older) who default on federal student loans and must repay that debt with a portion of their Social Security benefits often have held their loans for decades and had about 15 percent of their benefit payment withheld. This withholding is called an offset. GAO’s analysis of characteristics of student loan debt using data from the Departments of Education (Education), Treasury, and the Social Security Administration (SSA) from fiscal years 2001-2015 showed that for older borrowers subject to offset for the first time, about 43 percent had held their student loans for 20 years or more. In addition, three-quarters of these older borrowers had taken loans only for their own education, and most owed less than $10,000 at the time of their initial offset. Older borrowers had a typical monthly offset that was slightly more than $140, and almost half of them were subject to the maximum possible reduction, equivalent to 15 percent of their Social Security benefit. In fiscal year 2015, more than half of the almost 114,000 older borrowers who had such offsets were receiving Social Security disability benefits rather than Social Security retirement income. In fiscal year 2015, Education collected about $4.5 billion on defaulted student loan debt, of which about $171 million—less than 10 percent—was collected through Social Security offsets. More than one-third of older borrowers remained in default 5 years after becoming subject to offset, and some saw their loan balances increase over time despite offsets. However, nearly one-third of older borrowers were able to pay off their loans or cancel their debt by obtaining relief through a process known as a total and permanent disability (TPD) discharge, which is available to borrowers with a disability that is not expected to improve. GAO identified a number of effects on older borrowers resulting from the design of the offset program and associated options for relief from offset. First, older borrowers subject to offsets increasingly receive benefits below the federal poverty guideline. Specifically, many older borrowers subject to offset have their Social Security benefits reduced below the federal poverty guideline because the threshold to protect benefits—implemented by regulation in 1998—is not adjusted for costs of living (see figure below). In addition, borrowers who have a total and permanent disability may be eligible for a TPD discharge, but they must comply with annual documentation requirements that are not clearly and prominently stated. If annual documentation to verify income is not submitted, a loan initially approved for a TPD discharge can be reinstated and offsets resume. 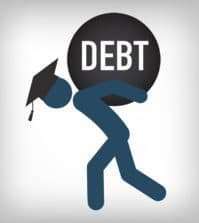 An increasing number of older Americans have defaulted on their federal student loans, which are administered by Education, and have a portion of their Social Security retirement or disability benefits withheld above a minimum benefit threshold to repay this debt. Given that Social Security is the primary source of income for many older Americans, GAO was asked to review these withholdings, known as offsets. GAO examined: (1) characteristics of student loan debt held by older borrowers subject to offset and the effect on their Social Security benefit; (2) the amount of debt collected by Education through offsets and the typical outcomes for older borrowers; and (3) effects on older borrowers resulting from the program design of relief options. GAO examined data from fiscal years 2001 through 2015 from Education’s National Student Loan Data System and other administrative data from Treasury and SSA. GAO also examined aggregated data provided by Education and Treasury, reviewed documentation, and interviewed agency officials about Education’s processes for providing relief from offset. GAO suggests that Congress consider adjusting Social Security offset provisions to reflect the increased cost of living. GAO is also making five recommendations to Education, including that it clarify documentation requirements for permitted relief resulting from disability. Education generally agreed with GAO’s recommendations.